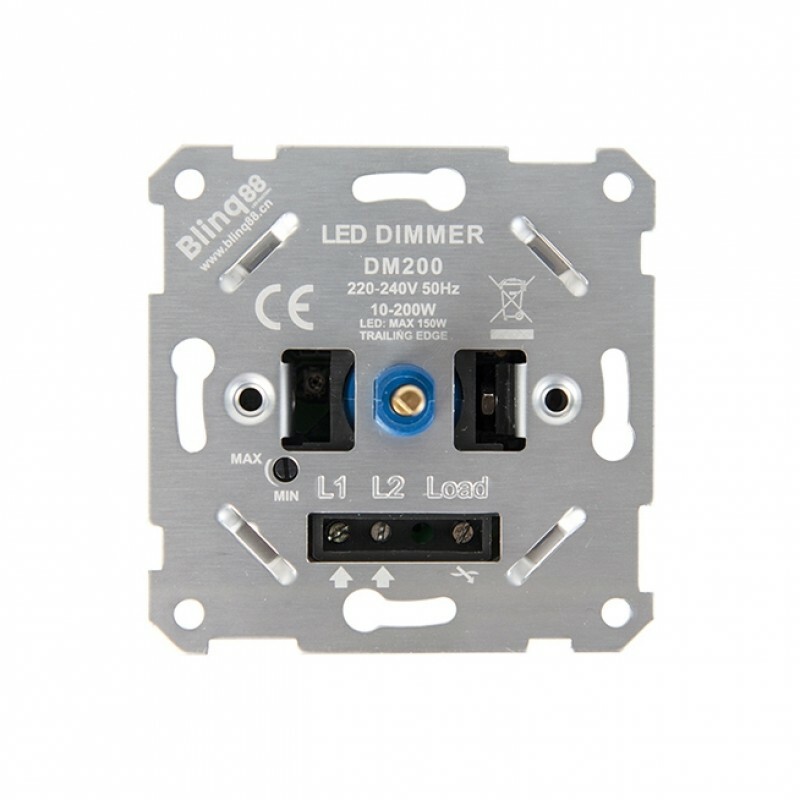 Dim your LED lamps with great ease using this universal built-in dimmer. This device has a very wide range from 1W to 200W and produces a constant light without flickering. Naturally, this dimmer also works perfectly with halogen and incandescent bulbs. This dimmer can be combined with many different frames and covers, including Berker S1, Peha and Jung AS1540. Note: frame, cover and knob not included.